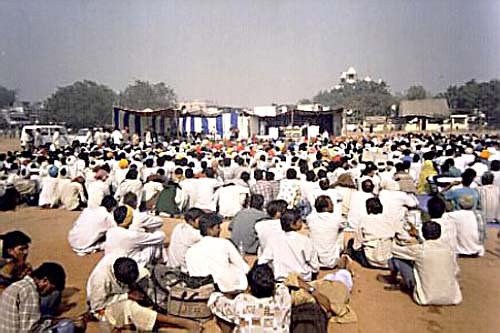 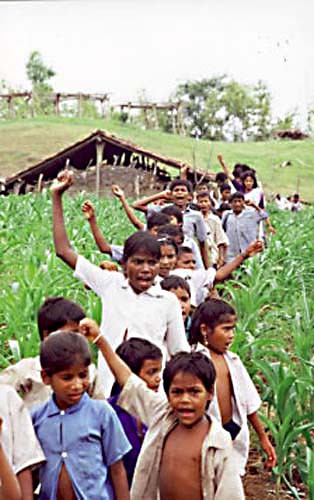 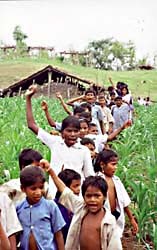 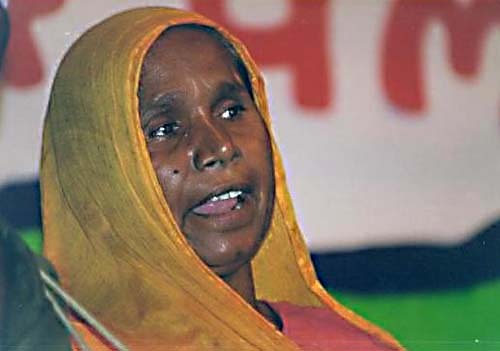 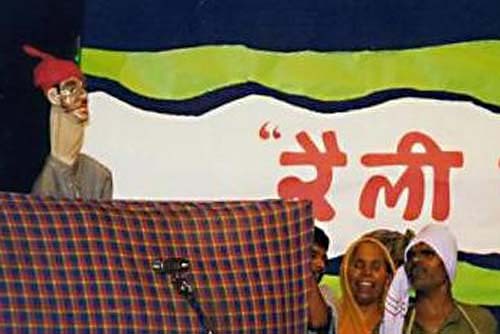 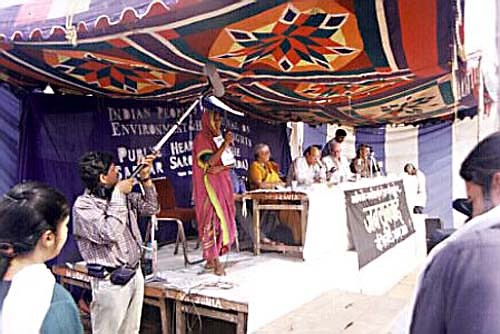 Nyay ki Pukar (Long March for Justice), from Maharashtra to Delhi, November 2000. Start of the Nyay ki Pukar at Dhadgaon town, Maharashtra. 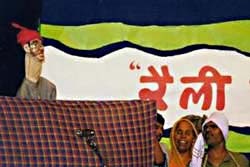 Dedlibai from village Domkhedi, at the public hearing. 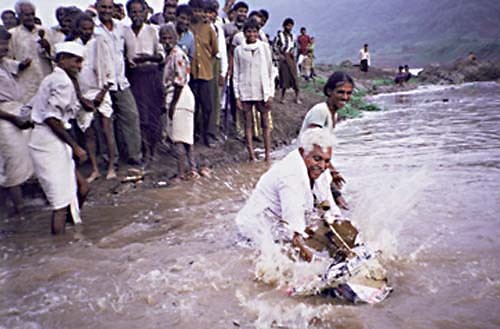 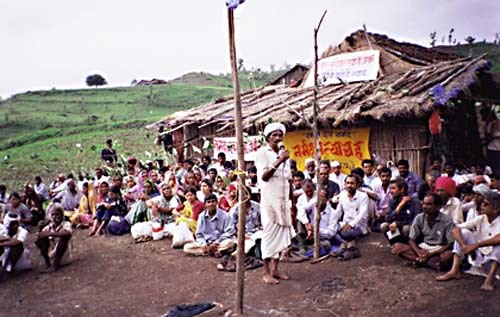 The satyagraha started on July 15, 2000 in the villages Domkhedi at Maharashtra and Jalsindhi at Madhya Pradesh. 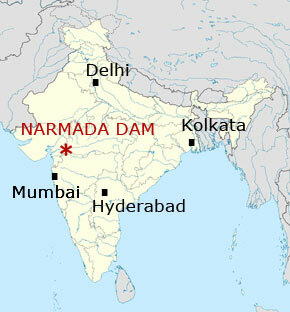 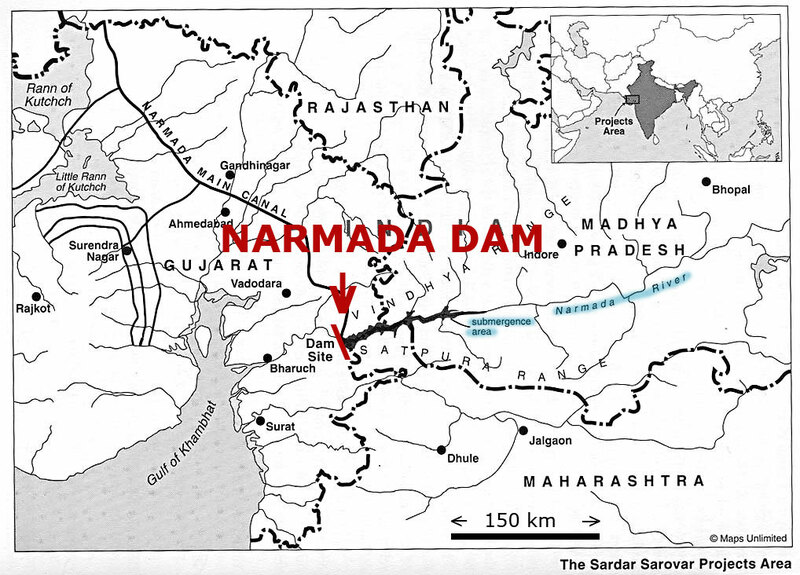 Immersing the "Dam Demon" at Jalsindhi. 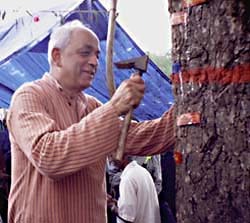 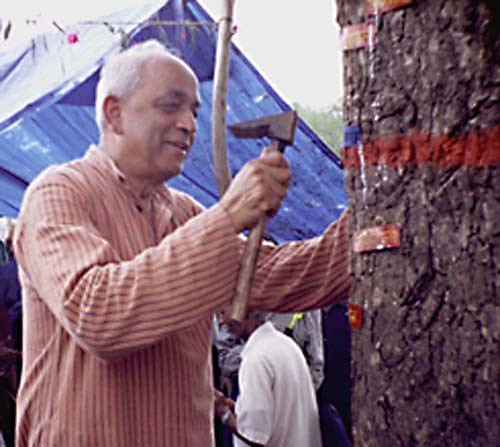 Admiral Ramdas (former Chief of Indian Navy) nailing the plates with village names on the "Tree of Determination" at Domkhedi. 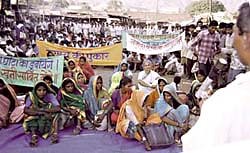 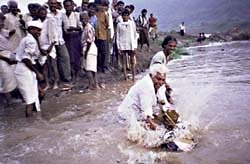 Satyagraha 'Rally for the Valley' in the Central India State of Madhya Pradesh from July 30 till Aug 4 1999. 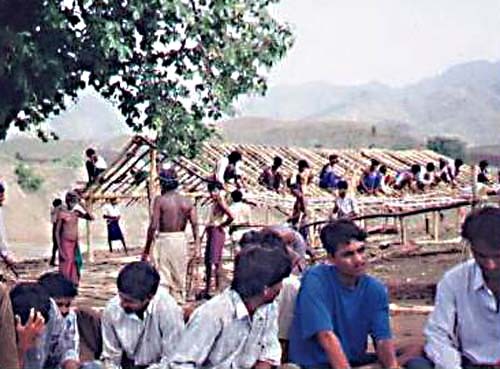 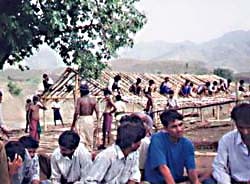 Not only are people refusing to move, more people are coming to the satyagraha site - so the local people have all come together to build another hut - this was completed in a day. 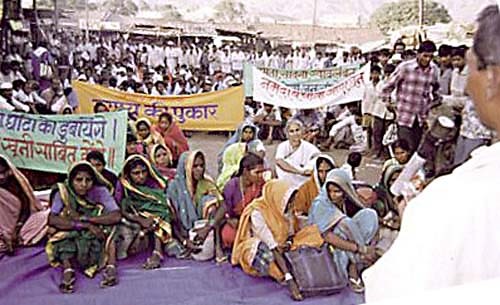 Activists from a farmers organisation from Rajasthan showed their solidarity.. The Rajasthani performed a puppet play.